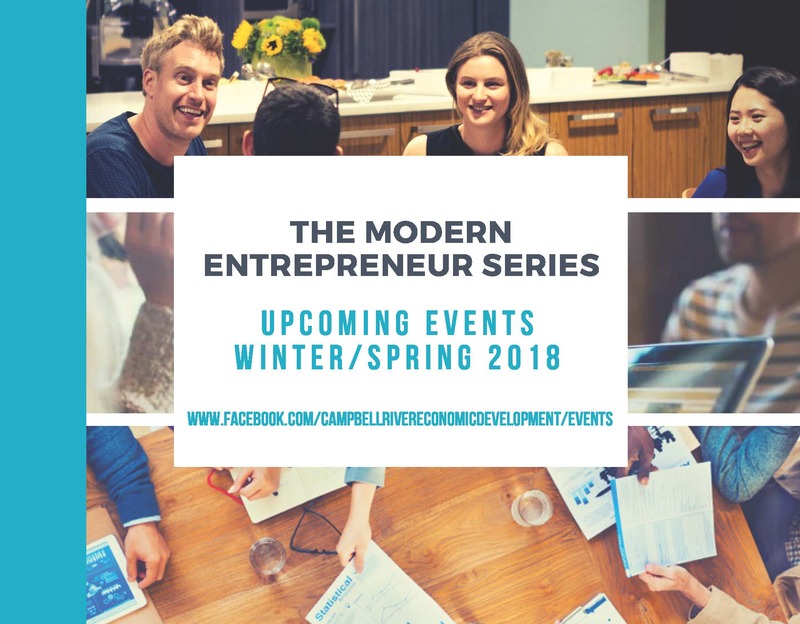 Spring is thrilled to be partnering once again with the City of Campbell River and their Modern Entrepreneur Series in 2018! With this series, we will be supporting the startup community in Campbell River with growing their businesses through workshops, resources and Leader’s Roundtables. 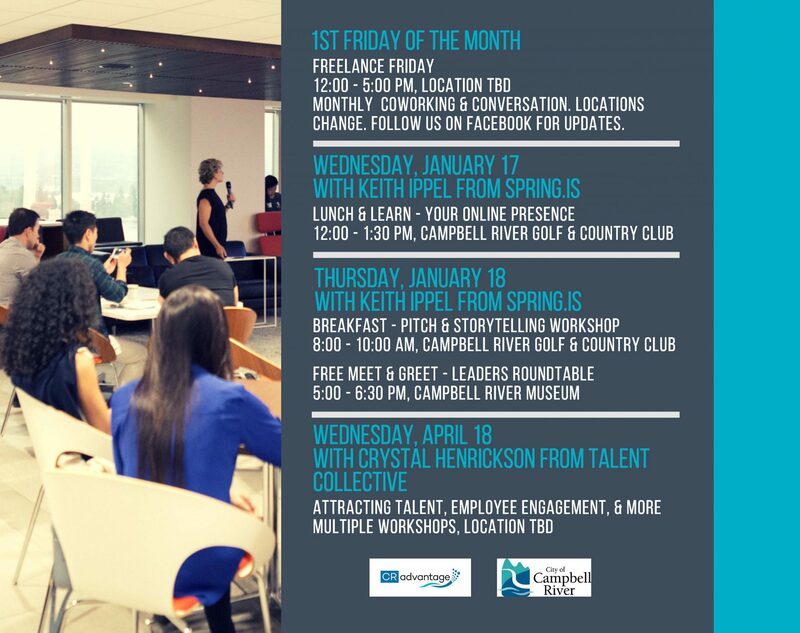 They will be hosting a number of events including a Lunch & Learn on Online Networking, a Pitch Workshop and a Meet and Greet in anticipation of launching the first Leader’s Roundtable groups in Campbell River. The Leaders Roundtable started as small group of founders, meeting once a month to talk business. During roundtable sessions, every topic was fair game. These entrepreneurs discussed and solved everything from financial challenges, to marketing their businesses. Roundtables caught on in the Spring community, with more and more business owners showing interest. Roundtables now follow a straightforward format, designed to give entrepreneurs the most value. Learn more about Roundtables here and apply today! We are excited to meet all of the amazing entrepreneurs and startups in Campbell River; make sure you save your spot at the upcoming events to learn more!